It feels like I haven’t written in ages. This is the first blog I’ve written since my little outburst a couple of weeks ago about taking some time out to enjoy things other than doing, thinking and writing about fitness and running, and I’m happy to report that I am now back in the zone and ready to write again. I’ve been doing a bit of yoga, in class and at home, spending time with hubs and enjoying getting a bit pedantic about the colour scheme in my new mindfulness colouring magazine and pocket book, which has actually, really sorted me out. Half an hour of colouring in each night before bed gets me off the computer, away from my phone and allows me to wind down before bed rather than trying to go straight from screen to shut eye. I’m not getting so stressed about training now and am trying to let things wash over me if runs don’t go to plan or if I have a sugar binge at work. As we approach the beginning of April, I’m welcoming the taper with loving arms. Although I’ve loved this round of training, have felt strong and more confident in my ability than last year, I’m definitely ready to ramp it down and rest. The last few weeks have been tough – I’ve been running three or four times a week most weeks, with gym sessions, yoga and core classes, circuits, cycle commutes and various rides thrown in between. As the long run mileage has ramped up I’ve been forced to take extra rest and adjust my training according to what my body will allow. That’s meant moving run days around and either skipping or downgrading some of the harder sessions to marathon pace practice or brisk walks home along the seafront when the legs have said no. Some runners can bosh out 70 mile weeks without injury, but that’s not me – I’m not built for that kind of endurance and have to pick my fights very carefully or I’ll break. I’m OK with that though, I can do this at my own pace. A couple of weeks ago I ran a decent hilly half marathon time (2:14:02) off the back of five or so miles along North London’s scenic dual carriageways, and last Sunday after a slow start I got a second wind at around 14 miles to make it to 20 for the final long run before the taper. I bailed on the RunBrighton hilly run up the Downs for a flat seafront run and after changing my playlist and pulling out Biffy Clyro at mile 14 I spent the last six miles around marathon pace, singing my heart out, having a right old jolly. As I approached The Level in Brighton which is about a mile from my house I was less than a parkrun away from the big 2-0 so I did a few laps and rounded it off with a BOSH on the grass to celebrate. The thing is I haven’t been able to run much else during the week when the mileage is this high, and when I do it hasn’t been pretty. Instead last week, I did a Core class, had a beasty session at the gym and on Saturday I substituted the planned threshold run for a 15 mile windy cycle ride to do a few reps of the mighty Ditchling Beacon with the amazing Kurt from BTRS. Since midnight on Friday he spent the weekend doing 100 reps of the mile-long hill in memory of our team member Fabrice Cesaro, who died recently. I did just three reps as had to go out and was pushed for time, 66 is the height of Mount Everest… I can’t imagine doing 100! This was taken at 30 reps for Kurt, 3 for me. He’s completed 100 over the weekend! Despite me not being able to hit all the runs this past couple of weeks, looking back on last year, I’m definitely in a better place with my recovery. Last year I was coming away from each run with my legs in bits, avoiding stairs at all costs, suffering from severe muscle cramps with every run over 14 miles; allowing the doubt to creep in. But now, I’ve got the fuelling and recovery (mostly) nailed. It’s just that at this stage with the high mileage on the long runs, for me, recovery means a fair bit of not running and a bit more cross training to let my legs repair. Ice baths, compression gear, yoga and keeping active by cycling or walking to work are all helping me recover from the long runs and tough sessions. 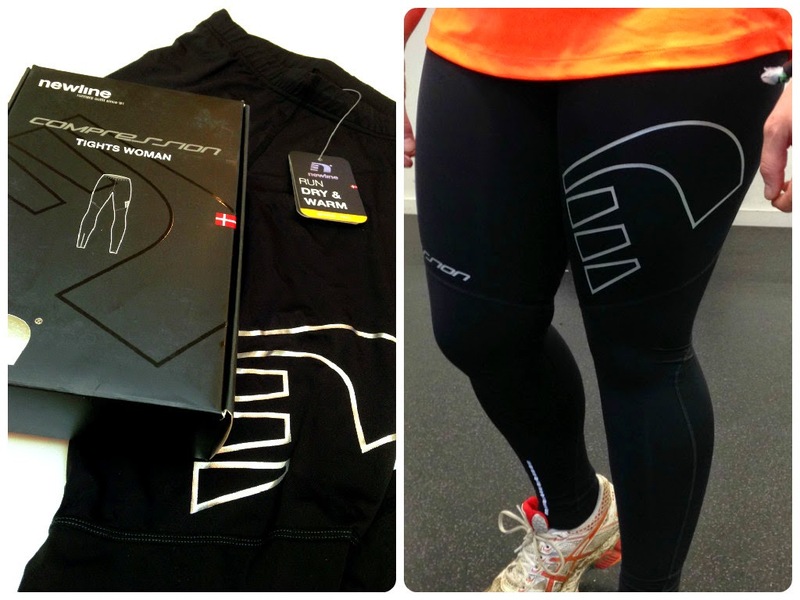 These compression tights pictured here along with my 2XU ones have been my best friends over the winter – they’re comfy, warm, and have really been helping my legs keep moving, especially if I wear them overnight after a long run. And to further enhance my #marathonwanker status in the office but save me from bringing in my foam roller, the lovely people at DMP have sent me another Tiger Tail massager, after I cleverly left mine on the bus last year. 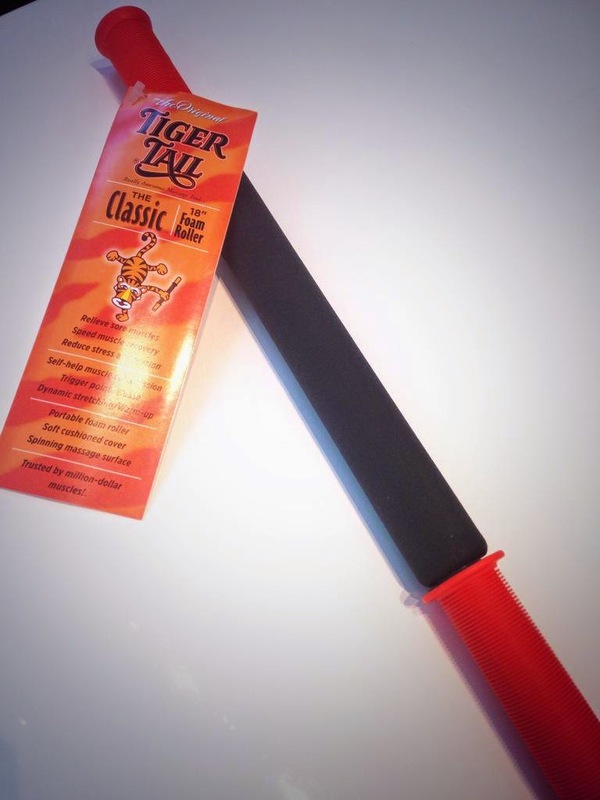 The Tiger Tail is a portable rolling massager, perfect for sticking in your bag for after a race and is great for office-friendly foam rolling. Another thing that’s really helping my recovery is my magnesium supplement. I know I’ve banged on about this before but this stuff really is magic. If you suffer from muscle cramps, restless legs, and lack of energy you could have a magnesium deficiency. I take this in water once or twice a day and it makes such a difference. It’s a bit pricey but for me it’s worth not being in constant pain when sat at my desk in the office. 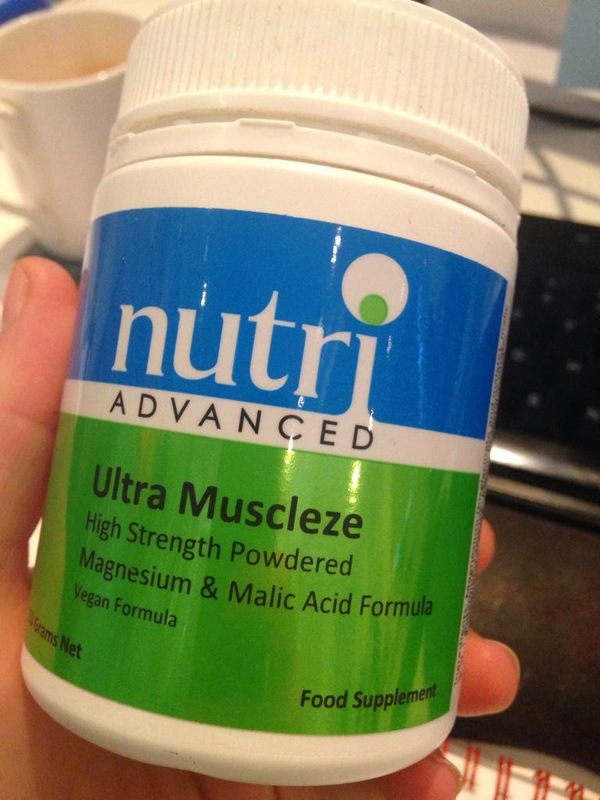 Find out more about magnesium deficiency here. Very much a work in progress, as ever, and with less than two weeks to go until Brighton Marathon, I’m happy in the taper, not getting stressed about missing runs, excited to get to that start line and enjoy the reward of months of hard work. Just need to work on the early bedtimes, I’m getting there!! 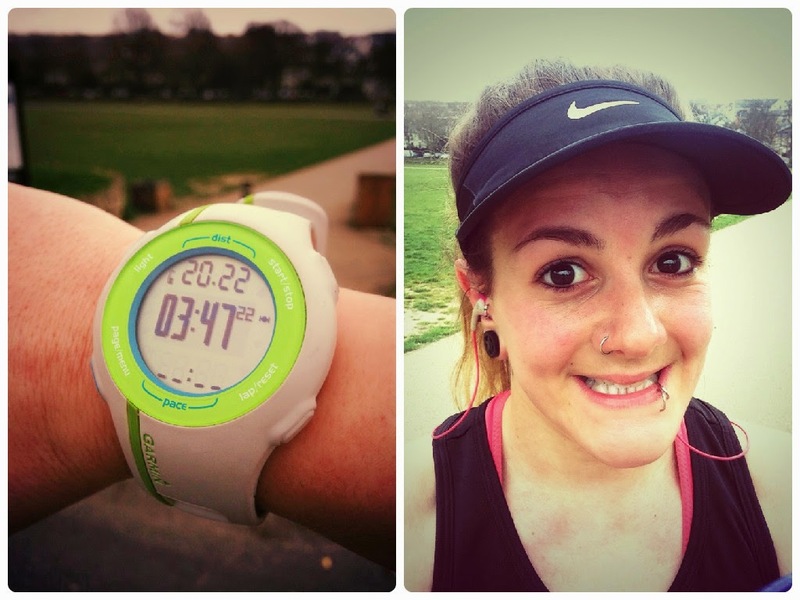 How are you finding the final weeks of marathon training? Have you been getting stressed like me? What’s your recovery secret?